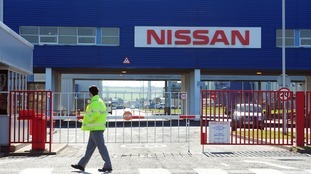 Nissan will be forced to renegotiate funding from the Government if it wishes to receive support from the taxpayer, MPs have been told. The financial support was contingent on Qashqai and X-Trail models being built in Sunderland. Nissan has taken a swipe at Brexit "uncertainty" as it confirmed the new X-Trail, planned for its Sunderland plant, will be made in Japan. Prosecutors arrested Ghosn on November 19 on suspicion of under-reporting his income by £34 million over five years. The media reports have not been confirmed by the company which says it must first inform the markets. The Brazilian-born boss was arrested by prosecutors in Tokyo. Nissan are under pressure from Navara owners to issue a recall of the 4x4 pick-up trucks over fears the vehicles could break in half. The alleged “sweetheart deal” offered by the Government in a letter to Nissan bosses will not be revealed, the Business Secretary has said. Greg Clark told MPs he has a duty to protect the Japanese car giant’s commercially sensitive investment plans. But Labour's shadow business secretary Clive Lewis demanded that the letter, sent to Nissan last week, be published. Nissan announced last week that it will build two new models at its plant in the north east, securing the future of 7,000 jobs. Labour's Keir Starmer said Government needs to 'come clean' about negotiations after Greg Clark revealed post-Brexit EU trade plans on TV. The Shadow Brexit Secretary said the government's reported 'sweetheart deal' with the car maker must be 'transparent and accountable'.